Nick and I play our fair share of Scrabble (and I’m anxious to break in Bananagrams), but there are few other games suitable for two people. (If you have suggestions, please share!) 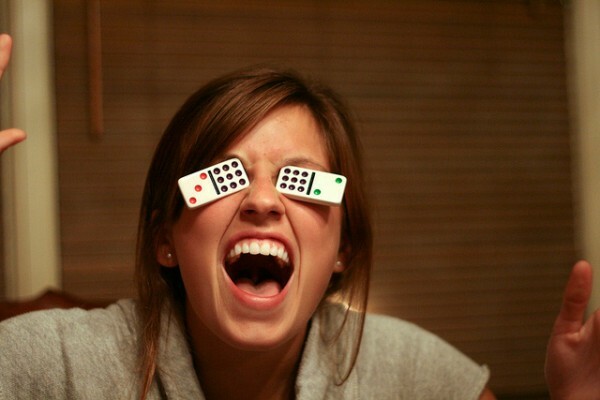 So one of our favorite things about going to Dover is clearing the dinner plates off the dining room table and settling in for a game night. 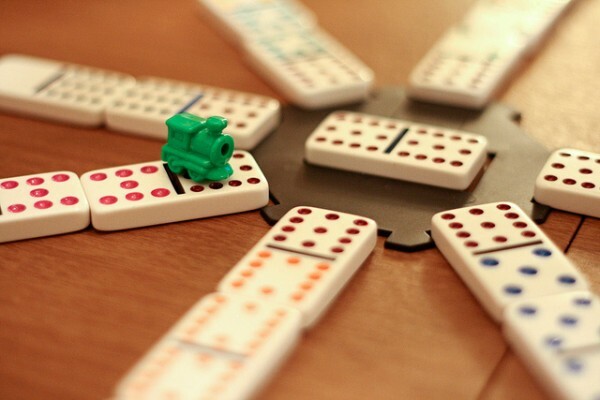 On Saturday, the game of choice was Mexican Train. This originated as a Wiley family favorite, and my family has now adopted it as a regular in our game night rotation. My sister didn’t win (Nick did), but she sure had a fun time. I baked peach cobbler earlier that evening and pulled it out of the oven just in time for round 1 of Mexican Train. 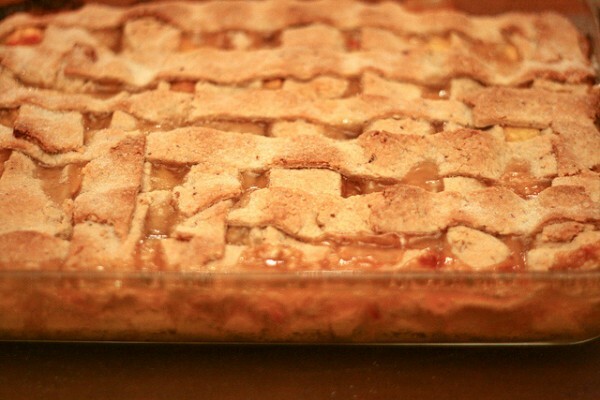 This cobbler recipe was shared by my sister-in-law and differs in several ways from the one I baked earlier this summer. The first one included blueberries, this one did not. (Though I would have added them if they were still in season here in Pennsylvania.) The first cobbler was crumbly and cake-like and sat in spoonfuls atop the fruit, while this one is thin and crispy and shaped into lattice. I prefer this cobbler just slightly more than the last one. I think it’s the addition of toasted almonds. My sister bought the peaches at the roadside fruit stand where she’s worked all summer. They were perfectly ripe and just naturally sweet enough. This was my first attempt at latticework, so please disregard the mistakes. 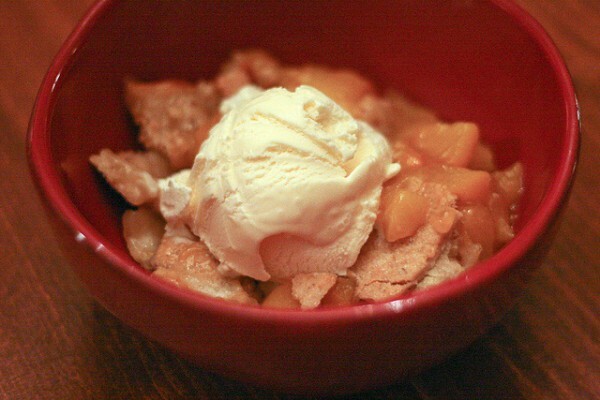 What does this peach cobbler have in common with the previous blueberry peach cobbler? They’re both topped with vanilla ice cream, of course. We didn’t quite make it through all 13 rounds of Mexican Train — alright, I think we only played four, but it was late and our bellies were full! While I was in the bathroom washing my face and brushing my teeth, look who decided to climb into bed beside my husband. But with wet noses and sad eyes like these, how could I be upset? Place 1/3 cup granulated sugar and butter in a large bowl. Beat with a mixer until combined, about 1 minute. Add egg yolk and vanilla and beat again. Place almonds in a food processor; pulse until finely ground. Combine nuts, flour, baking powder, and salt, and stir well with a whisk. 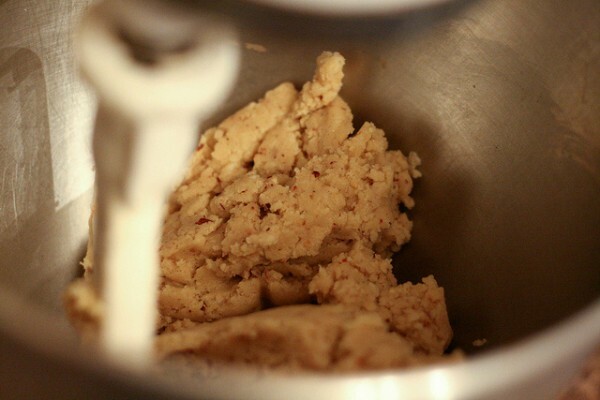 Gradually add nut mixture to butter mixture, beating at low speed until a soft dough forms. Add 3 tablespoons ice water, as necessary. Turn dough out onto lightly floured surface; knead lightly 6 times or until smoooth. 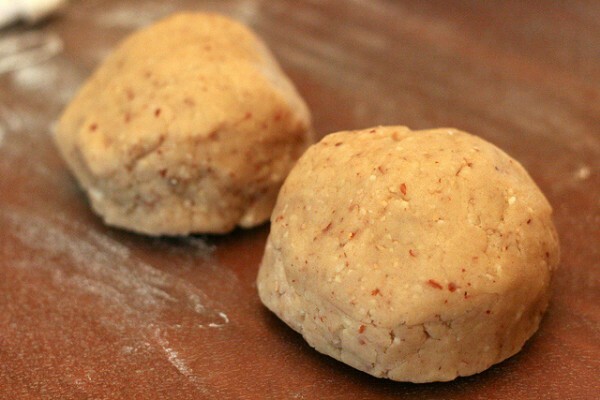 Divide dough into 2 equal portions; wrap each portion in plastic wrap. Chill 1 hour or until firm. Combine remaining 2/3 cup granulated sugar, peaches, cornstarch, and lemon juice; toss gently. 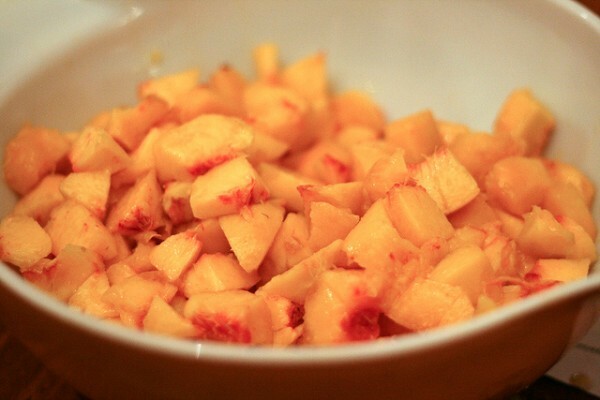 Arrange peaches mixture in a 13×9 glass or ceramic baking dish coated with cooking spray. Unwrap dough. Roll each dough portion into a 13×9 inch rectangle on a lightly floured surface. Cut one rectangle, crosswise, into (1-inch-wide) strips. Arrange strips in a lattice pattern over fruit mixture; sprinkle dough with sugar. Bake for 50 minutes or until golden. Let stand 10 minutes. 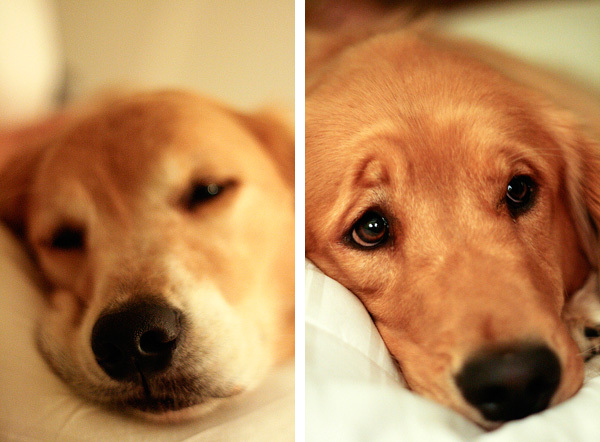 I agree; there’s no possible way to be mad at a dog in a bed. My husband and I had all these ground-rules about furniture when we first got our puppy but, you’re right, you can’t say no to that face! Dinner was wonderful, Anna! In fact, Nick wants that yummy soup recipe. Thanks again for inviting us! 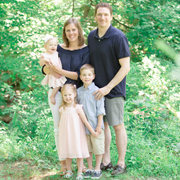 Emily – my husband and I like to play Yhatzee. The nice thing is it can be played with just the two of us or expand it to as many players we need if we have company over for the evening. omg I love the puppy looks 🙂 I love Goldens in general – they’re the sweetest dogs. We doggie sit for one pretty often and one day I might not give him back.